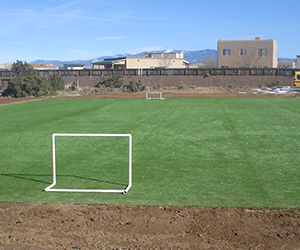 Synthetic Grass Sales - We sell synthetic turf for yard and sports applications. 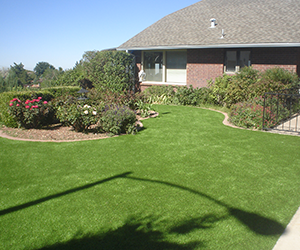 Synthetic turf looks and feels just like real grass except you don’t have to water, weed or cut it. There’s no yard work with synthetic turf. It’s completely maintenance free and looks great year round. Landscaping Services - Synthetic turf can be used anywhere normal grass can be planted. That means that we can install your synthetic turf around deeply planted trees, flower beds, bushes, paths and other landscaped attractions. We can even install synthetic turf in areas that will not grow grass. 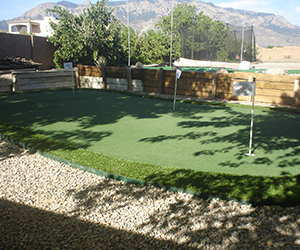 Synthetic Grass Installation - We perform complete synthetic turf installations. We will remove all the existing grass and weeds from your yard. We will even out the dirt and apply a fine layer of sand over that dirt. Once the sand is down, we will check to make sure that it is even. We will fill in any holes that are greater than one eighth of an inch.